We ain’t fancy but we know how to have fun. Located on Franklin Avenue in Downtown Bend, JC’s has been serving up good times since 2003. Come down and enjoy one of our 16 rotating taps, taste one of our signature cocktails, and grab a burger or one of our other savory menu items. 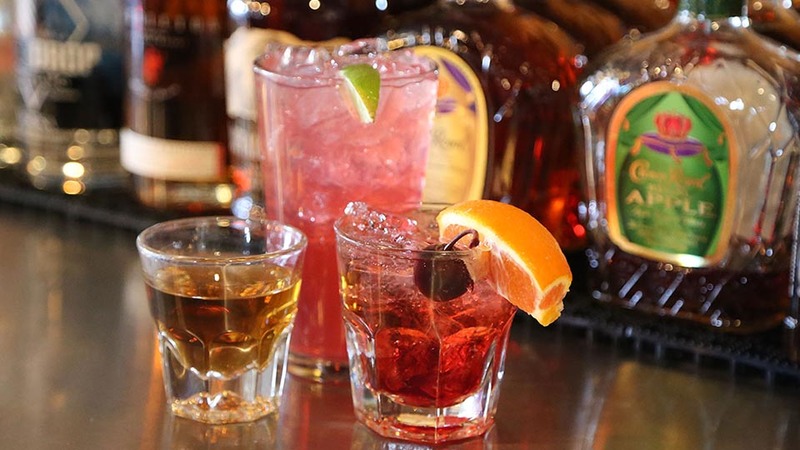 Each day has its own special, and happy hour happens seven days a week from 3:00 p.m. – 6:00 p.m. We’ve got giant jenga and connect four, shuffleboard, 2 pool tables, foosball, arcade games, and video lottery. We also have 10 TVs and plenty of space to relax and watch your favorite team, especially each fall with the NFL Sunday Ticket. Minors are welcome until 7:00 p.m., and after that the good times roll into the night. Swing on down to JC’s Bar & Grill, we’re Everybody’s Bar!